“The reader who is willing to suspend disbelief and, like Del, is ready to defy any suggestion of impossibility, will be rewarded with a rich, eventful and extremely entertaining summer road trip. 1. 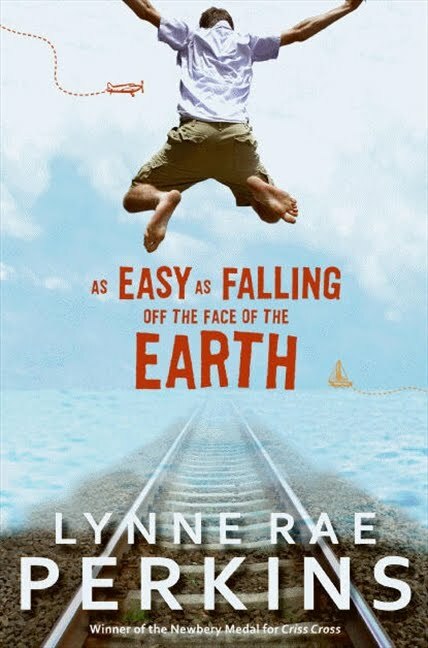 What inspired you to tell Ry’s story in As Easy as Falling off the Face of the Earth? When our son was fourteen years old, I found myself thinking that he would enjoy knowing a very good friend of ours, an adventurous and eccentric character named Del. This was not possible, though; Del had died when Frank was only two. I decided to try to introduce them to each other anyway, by imagining someone like Frank meeting someone like Del. An adventure ensued. I was on the edge of my seat. I didn’t know what would happen in the last chapter until the day I wrote it. 2. Luck plays a significant role throughout the novel. Do you believe in luck? Have you experienced luck, either good or bad, in your own life? “Luck” is another word for “chance” –it’s what we call chance when it happens to us, personally. Then it becomes “good luck” or “bad luck.” I have had both kinds. Somewhere in between is the kind of luck, or chance that can go either way, depending on what you decide to do with it. That is the area that is most interesting to me. 3. You seem to have a remarkable kinship with dogs. How did that come about, and how do you write from the canine perspective? Dogs are pretty easy to have a remarkable kinship with. Our current dog, Lucky, insists that we take long vigorous hikes in the woods, in all kinds of weather (“Coach Lucky”), where he occasionally takes pauses that make us stop, too, and look at what is all around us. (“Guru Lucky”). Even though we grumble and don’t want to leave the house, we are glad afterwards that we did. When he goes off on a wild tear, running through the town and countryside eluding capture, he returns confident that we will forgive him almost right away, which we do, and that makes us feel good about ourselves. He doesn’t speak himself, but he seems to take such interest in what we say to him. And he is warm and furry. I like cats too, but we don’t have one at the moment. 4. Ry is helped by the kindness of strangers. In what ways have you experienced the kindness of strangers in your life? When have you been the kind stranger? Having an unreliable car can be an avenue to the kindness of strangers. One of my most memorable of these encounters took place years ago, when my Pacer–that car that looked like a spaceship–died, for the umpteenth time, in a down-and-out area of the city. The car had enough momentum to drift over to the curb, in front of a down-and-out apartment building where two down-and-out looking fellows (stereotype alert) sat on the stoop, observing. I expected hostility or indifference, they showed me kindness. I learned something important that day about making assumptions. Most kindnesses are small, most strangers are only semi-strangers, or strangers briefly. Kindness, friendliness even, is like a secret renegade movement against hatefulness and people who like to hear themselves shout. And it’s more fun. So there. Whatever kindnesses I commit myself are not so dramatic. Probably the most frequent ones involve making food or listening to people. But I try to keep a kindness-vibe going — hopefully I am doing kind things without even knowing it. That’s the best way. 5. In your novels, illustrations always work in tandem with words to tell the story. Why? I have been a visual artist for years longer than I have been a writer, so it’s natural that my ideas sometimes take shape as drawings. 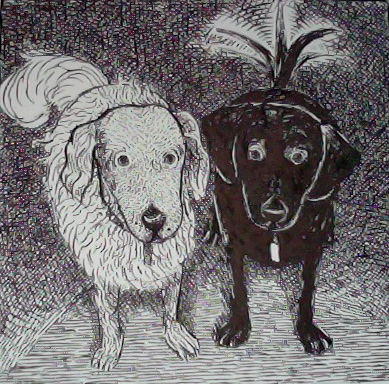 But even before I wrote, some of my drawings, etchings and lithographs had words incorporated into them. The easy answer is that I like doing both things. 6. What do you most hope readers will take away from As Easy as Falling off the Face of the Earth? I would love it if readers came away thinking, life on earth, in the real world, is so dang interesting. Especially if you step off the train, whatever that might mean metaphorically speaking. Though I wouldn’t put too much weight on that.